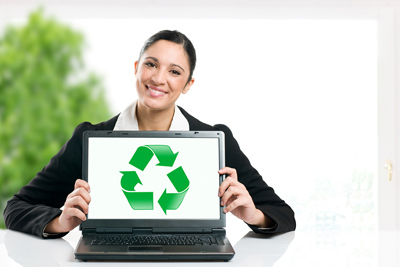 We assure to make the disposal of e-waste as simple and non time consuming as possible for corporate or large organizations when they are required to dispose the e-waste as per the expected rules and regulations. We provide free pickup service on all the 6 days to collect the e-waste irrespective of their quantity. We collect Computers, Monitors, Laptops, Servers, Terminals, Printers, Network equipment, Batteries, Cameras, All types PDA and Mobile phones, All types of Circuit Board, Wiring and cabling, Scientific Equipment, Electronic Scrap, UPS,LCD TV, Copiers, Photocopiers, Typewriters, Fax Machines, DVD players, Overhead projectors, radios and stereo equipment and much more. We take data deletion seriously. Our proprietary data deletion methodology is guaranteed to destroy all your data irrecoverably.If required we shall safely detach and return any selected items like hard disk(holding data) or destroy it on site. Any private information or data will be wiped and destroyed with total assurance of privacy. All data destruction can be documented by filming and we can also provide a certificate to ensure peace of mind that all information has been destroyed completely. By thinking of disposing, this way you will not be adding to the problem but instead you will be part of the solution. Click here for Pick up!